This is the booklet for seekers who want to go straight to the source. Here readers will find over one hundred carefully selected quotations that offer an uplifting and hopeful vision of humanity’s potential. This is the booklet for seekers who want to go straight to the source. Here readers will find over one hundred carefully selected quotations that offer an uplifting and hopeful vision of humanity’s potential. The cover is beautiful. The interior text is deep blue. The type is large. Note: This was originally published as Baha’i Teachings for a New Millenium, but then the new millenium became old news, so we change the title to Why We Have Hope, but that was too vague for people to predict the content, so we’ve combined the two titles into one that I hope accurately reflects the content and will attract interest. This third printing keeps the text from both, and the introduction from the second. 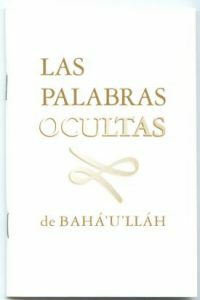 A Selection of Baha’i Prayers. Hope is what makes it possible to live through difficult times. While blind hope allows us to hold on for another day, informed hope offers guidance on how to turn our hopes into reality. Members of the Bahá’í Faith are guided by informed hope that is built upon the founding principles of our religion. In these pages you will be reminded of God’s love for you. You will gain a greater understanding of what it means to be a child of God, and you will be given some visionary guidance as to how humanity will soon learn to live in peace. By the end, I hope that you will not only understand the Bahá’ís’ hope for the future, but that you will share it. Click here for matching envelopes. Compiled by Karen and Justice St Rain. Introduction and design by Justice St Rain.